Editor’s Note: Information updated as of August 2012. How to order a cake depends on what kind of cake you want and where you want to have it. If you’re OK with a simple supermarket-style cake in vanilla or chocolate, you can get one just by asking at the podium when you check in for your reservation at any Disney restaurant except Victoria & Albert’s. These 6-inch cakes serve 5 and cost $21 plus tax. With 48 hours’ notice, most restaurants also offer basic custom cakes in larger sizes and a limited range of flavors with basic decorations. 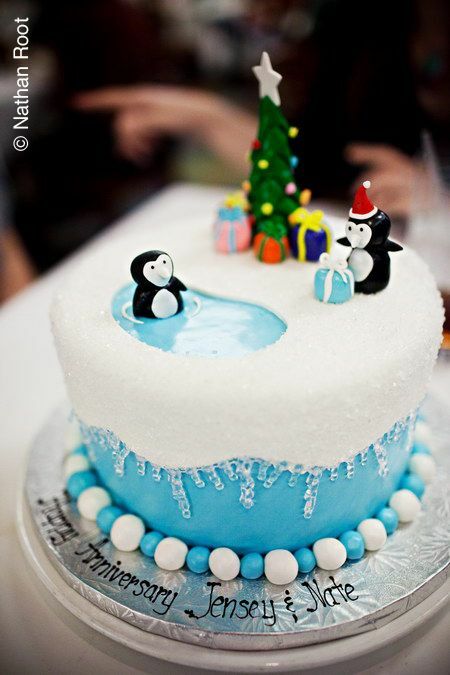 If an 8-inch cake is offered, it will be available in chocolate or vanilla and cost $32–$35 (serves 8). Ordering a 10-inch cake ($45, serves 16) will get you more flavor choices—usually vanilla, chocolate or marble cake filled with vanilla buttercream, chocolate buttercream, white chocolate mousse, dark chocolate mousse, strawberry mousse, or raspberry mousse and covered in vanilla or chocolate buttercream or whipped cream. Sheet cakes are available in 1/4 ($55, serves 25), 1/2 ($80, serves 50) and full ($120, serves 100) sizes. The price of adding a screen-printed image to a cake varies by location and ranges from as little as $2 to as much as $35—and at some places it’s free! Most restaurants also offer a Mickey Mouse cake in the shape of his head bearing a screen print of his face for $48. It serves 10–12 people, is available in white or chocolate cake with chocolate filling, and is covered in chocolate ganache. 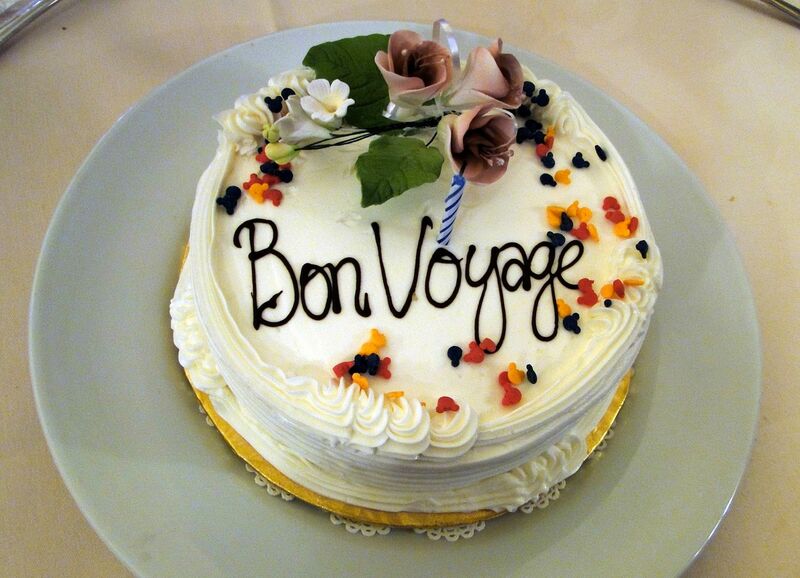 Although the cake cannot be customized, you can have a message written on the serving plate. 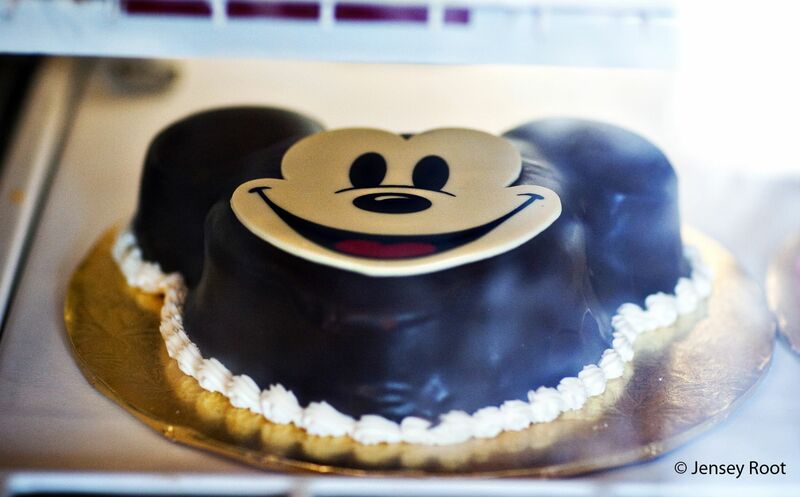 At restaurants serviced by the Contemporary Resort Bakery, the Mickey Mouse cake may be covered in piped buttercream frosting rather than a coating of chocolate ganache. If you’re looking for an elaborate fondant-covered cake, a mini cake, or cakes in nonstandard flavors, only the bakeries at the Grand Floridian Resort & Spa, the Contemporary Resort, BoardWalk Inn, Animal Kingdom Lodge, and the Yacht & Beach Club offer these, and only BoardWalk Bakery will let you pick up a cake. Note: The bakery at Animal Kingdom Lodge will not make mini cakes or fancy fondant cakes smaller than 10 inches. However, if you’re staying or dining at the Polynesian Resort, you can get a fancy cake by calling Private Dining at the Grand Floridian. For fancy cakes at the Wilderness Lodge, and Fort Wilderness, call Private Dining at the Contemporary. For fancy cakes at the Magic Kingdom, call Cake Hotline at 407-827-2253 and choose option #4; or email magickingdomcakes@disney.com. For fancy cakes at Epcot’s Coral Reef, Garden Grill or Le Cellier, call Private Dining at the Yacht & Beach Club. Fancy cakes are also available at Caribbean Beach, Old Key West, Pop Century, and Saratoga Springs Resort & Spa, which are serviced by BoardWalk Bakery, and at Art of Animation, which is serviced bythe Yacht & Beach Club. For these resorts, call the Cake Hotline and follow the prompts for your resort to place your order. You can pick up your cake at the restaurant or food court; many resorts will even deliver it to your room. Complete details on the cake choices and prices at each park and resort can be found on the Disney Cake Options By Location page. Need more cake info or details on flavors and embellishments available? Visit our Disney Cake FAQ page that Carrie put together for us! Carrie Hayward is the author of PassPorter’s Disney Weddings & Honeymoons (http://www.passporter.com/weddings.asp), a guidebook and bridal organizer for weddings and honeymoons at Walt Disney World and on the Disney Cruise Line. Follow her adventures in Disney dining at http://disneytravelbabble.com and @lurkyloo on Twitter.